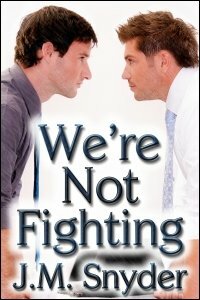 This week I published a new gay romantic short story called We’re Not Fighting. Jack knows he’s a flirt. He’s a hit with ladies — and men — but it means nothing to him because he’s with Aiden. They’ve been together in a committed relationship for years now, and in Jack’s mind, no one else matters. So when a new girl in the office named Leslie flirts back, Jack thinks nothing of it.